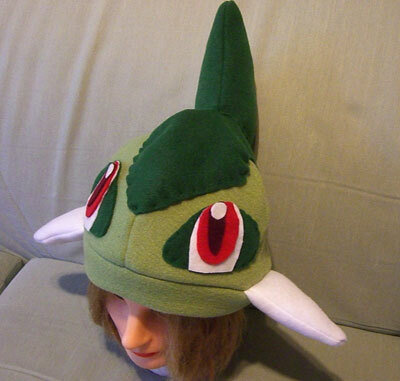 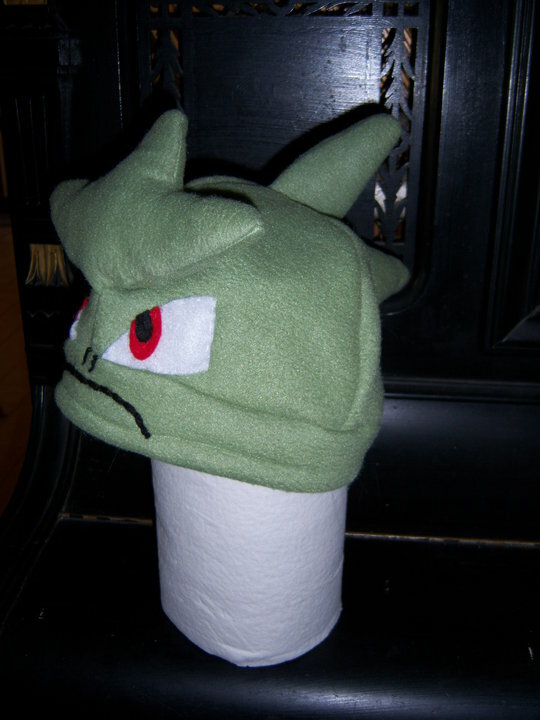 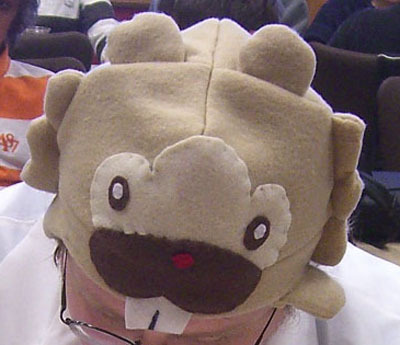 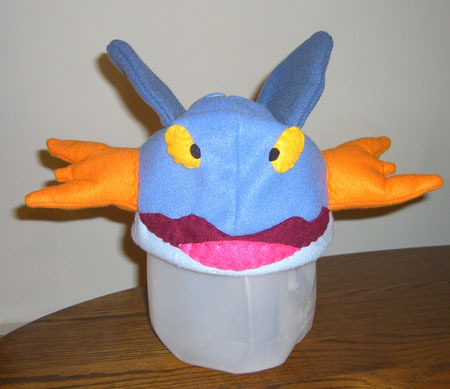 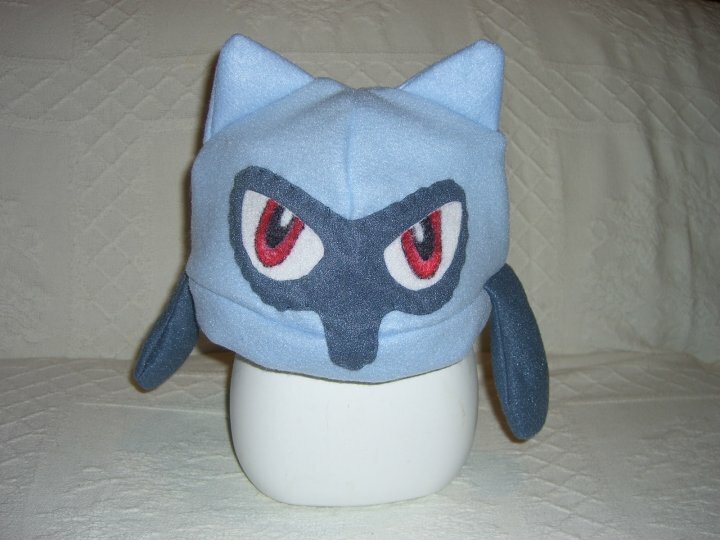 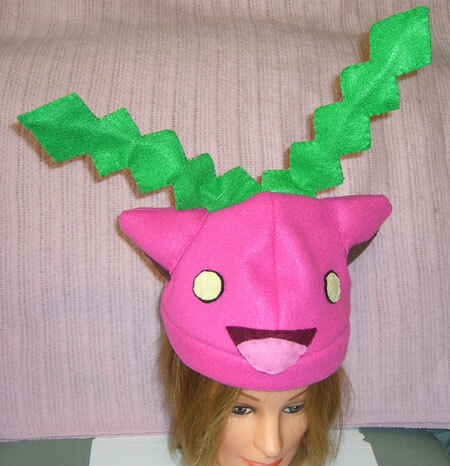 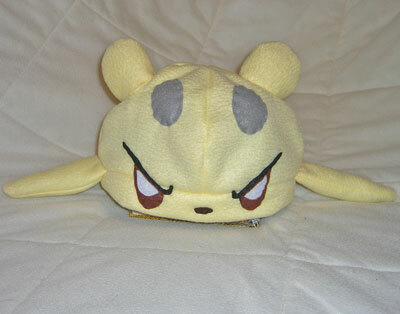 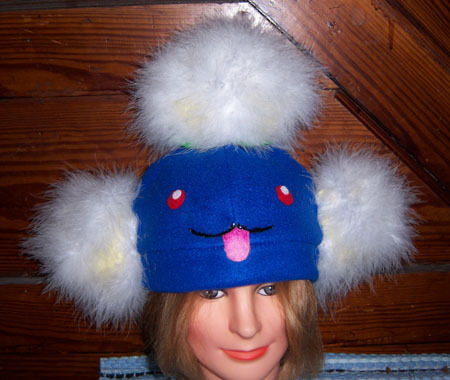 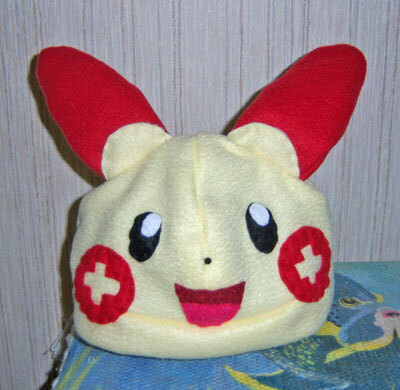 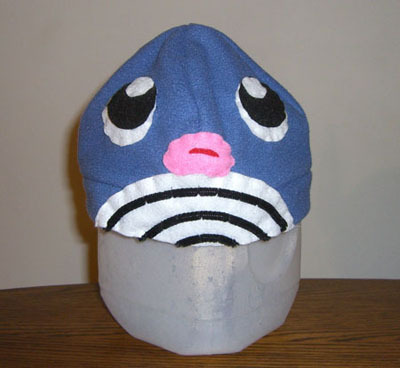 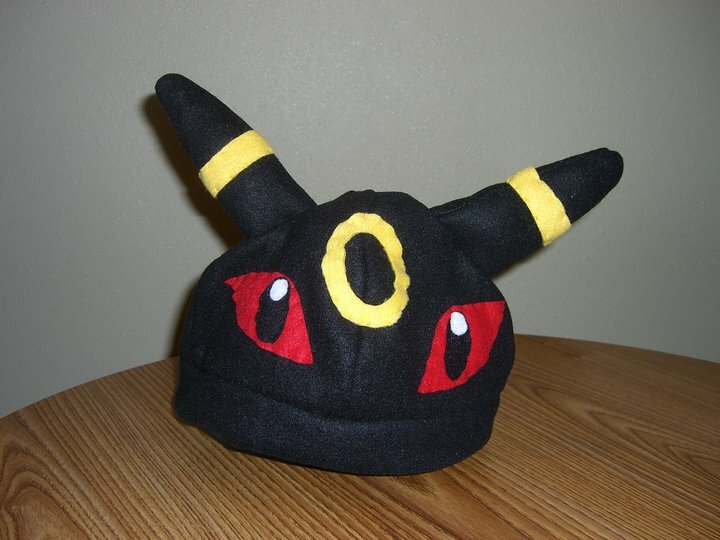 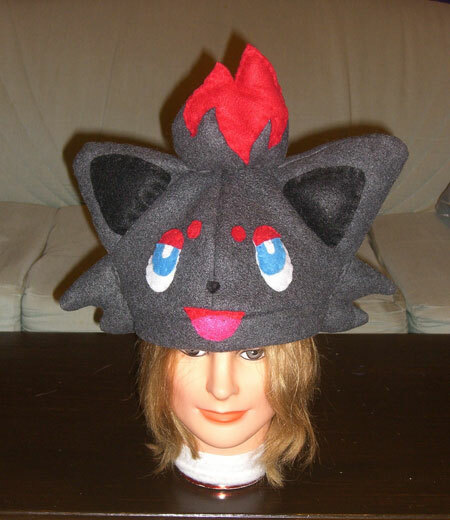 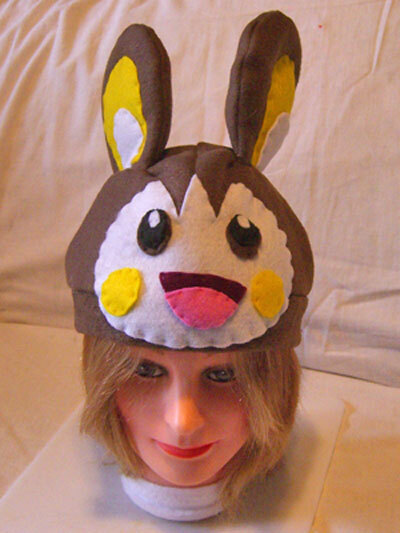 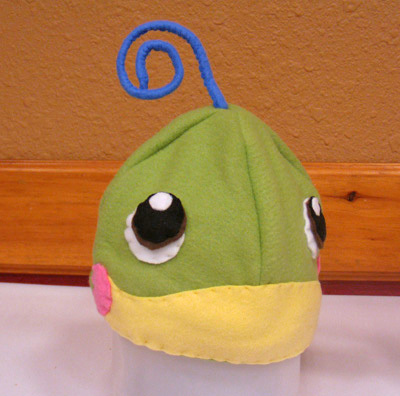 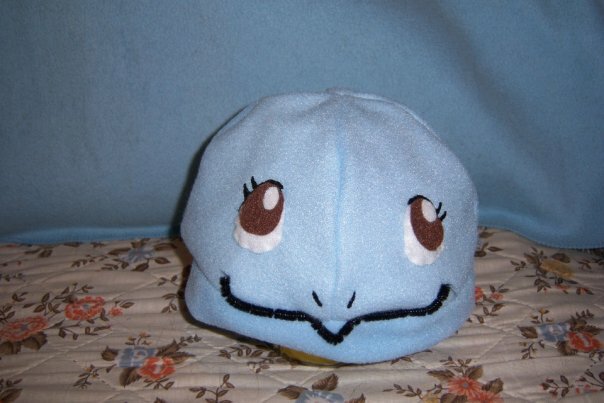 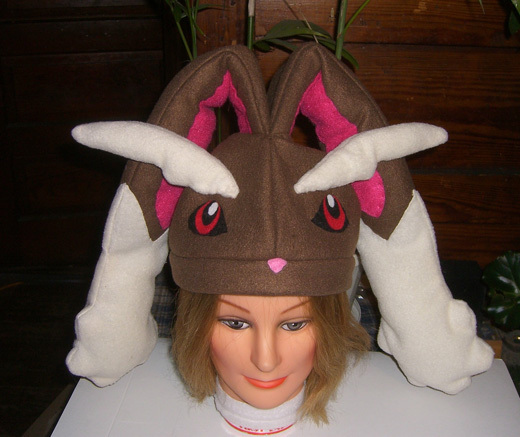 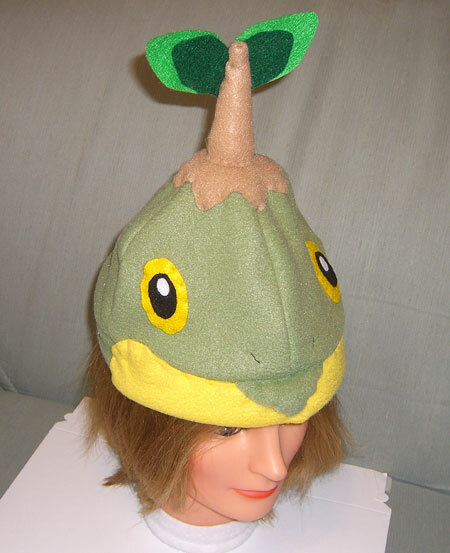 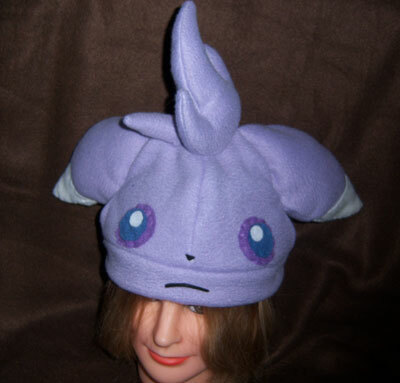 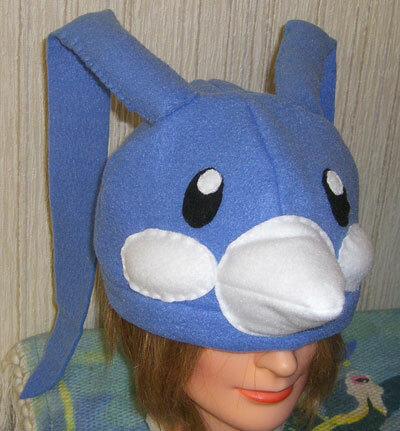 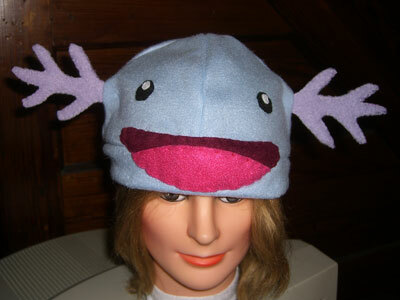 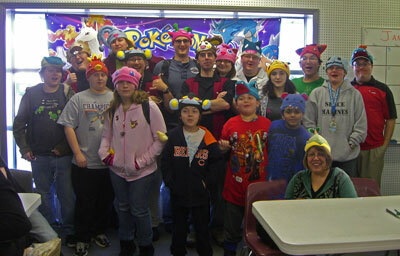 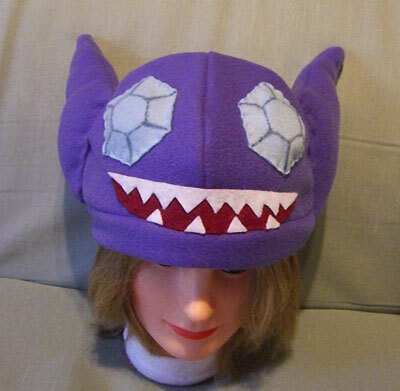 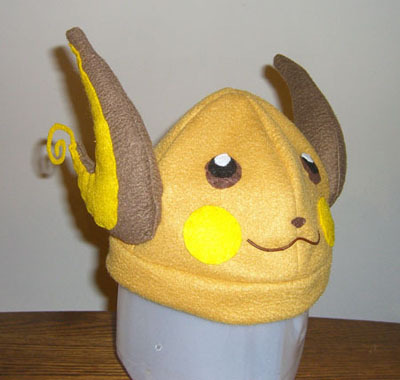 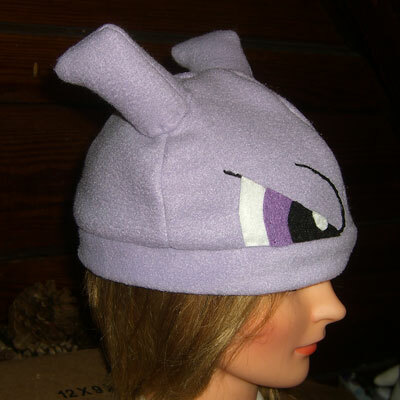 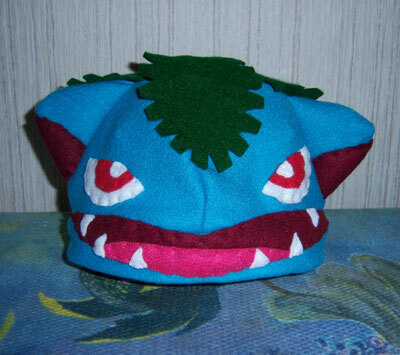 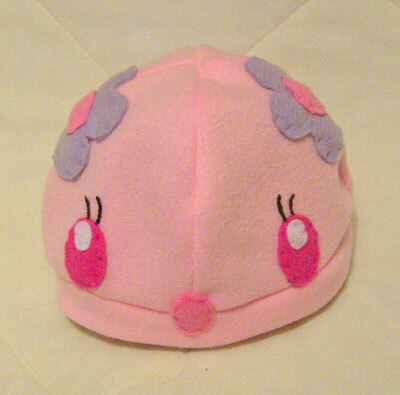 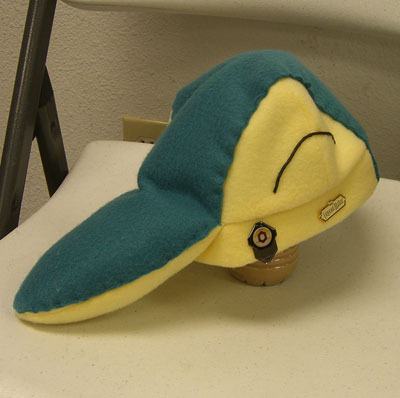 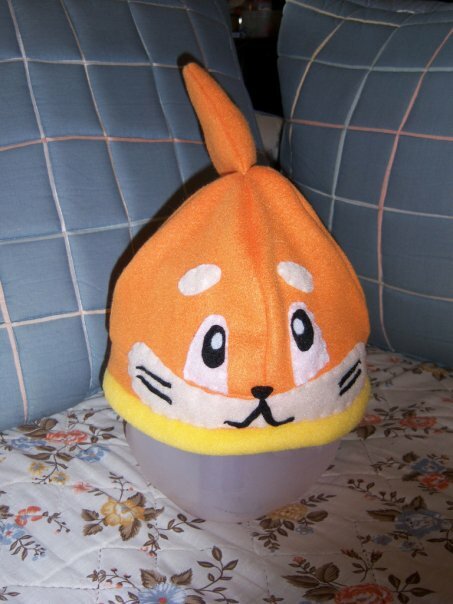 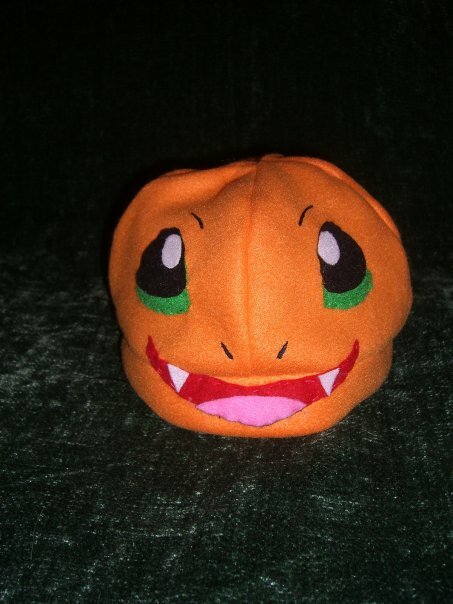 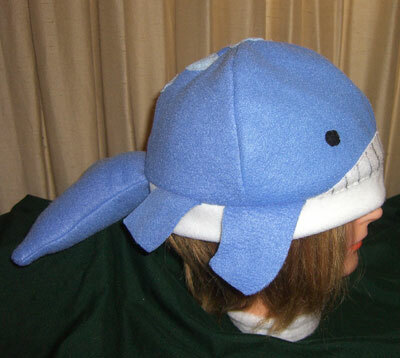 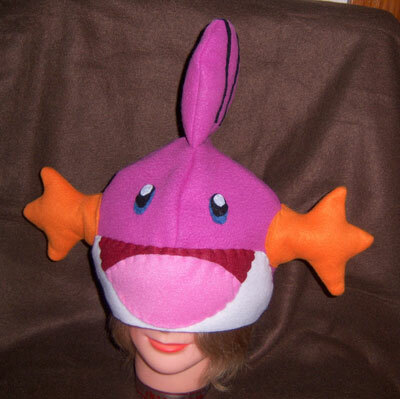 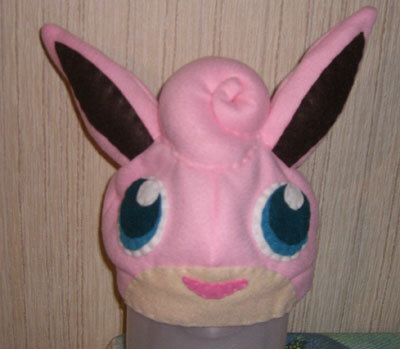 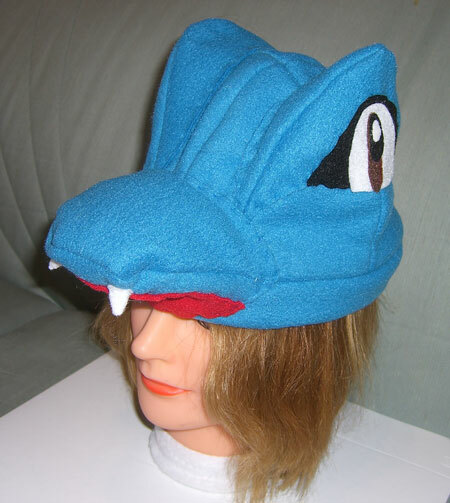 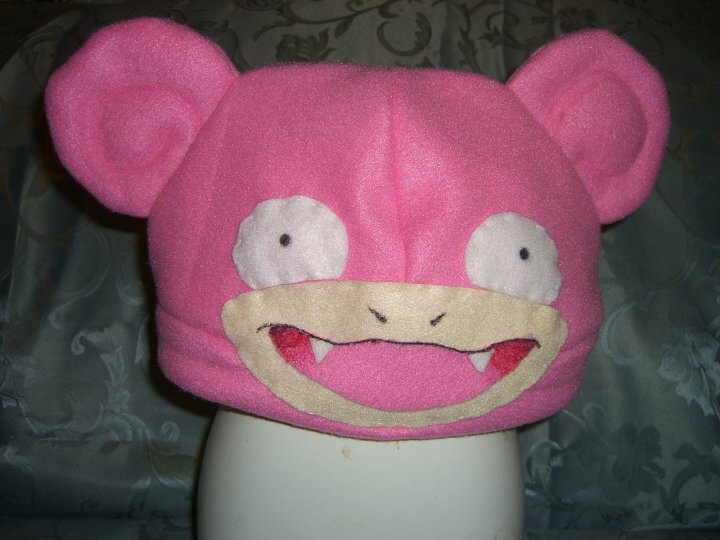 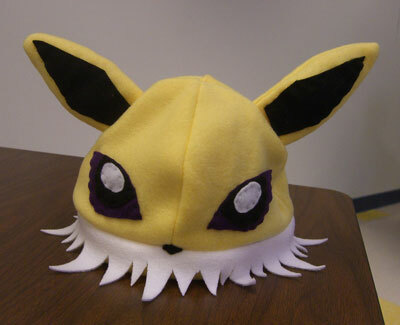 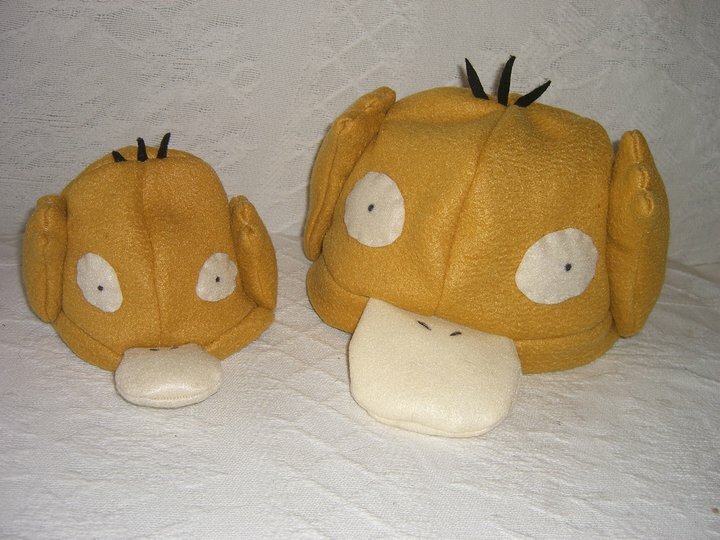 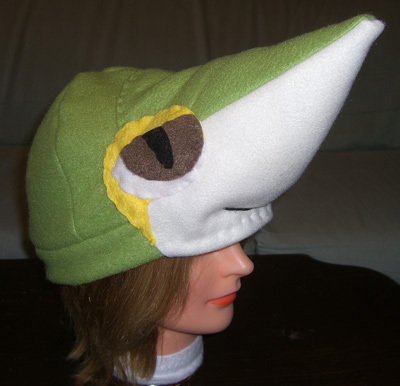 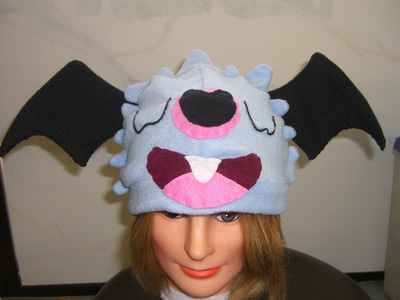 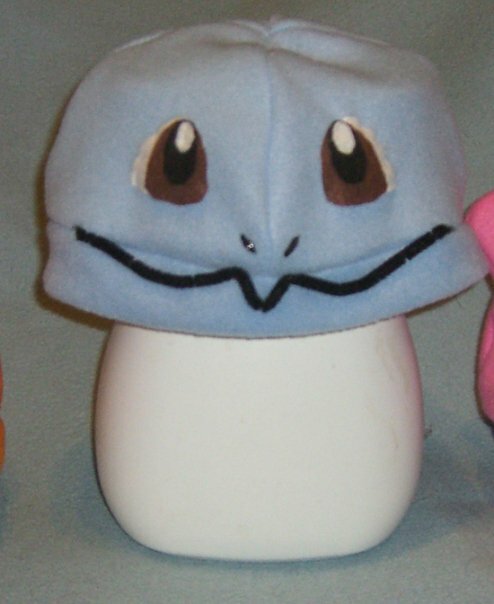 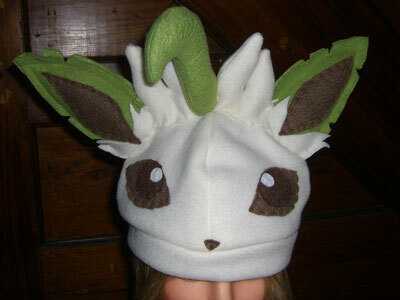 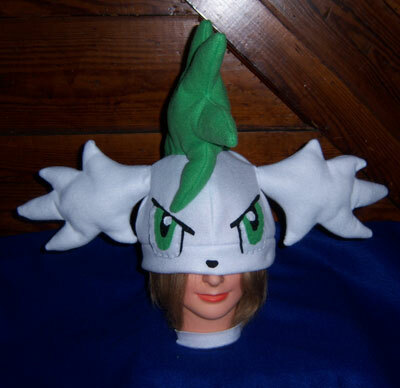 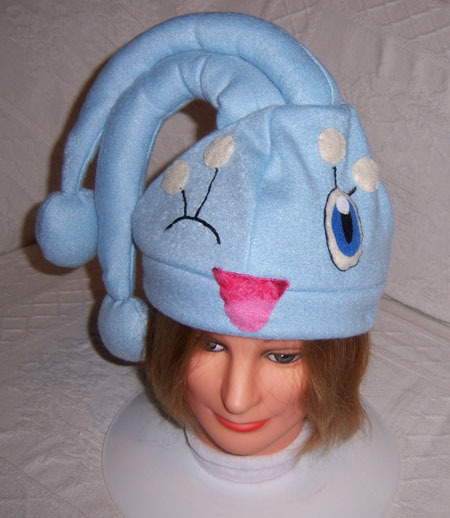 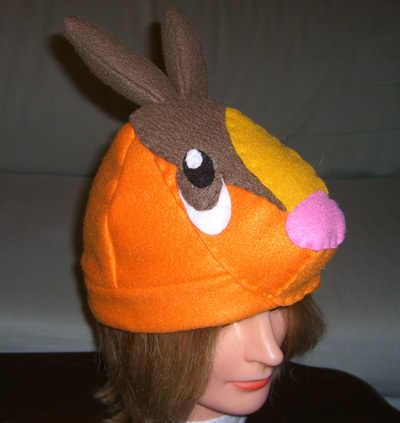 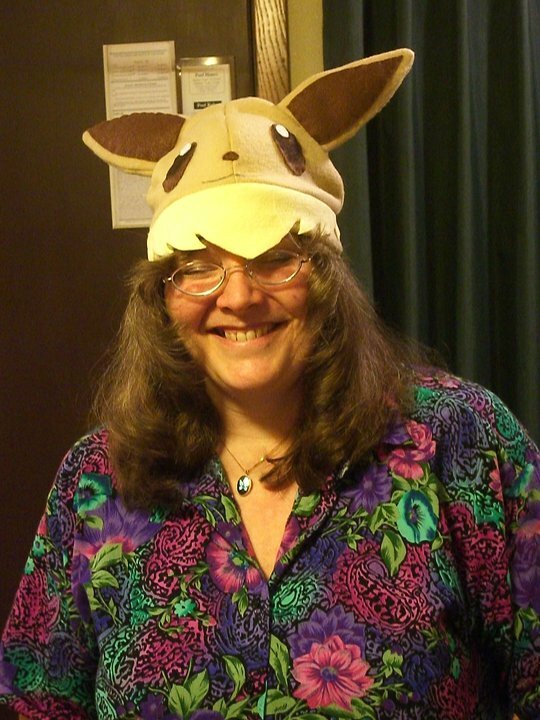 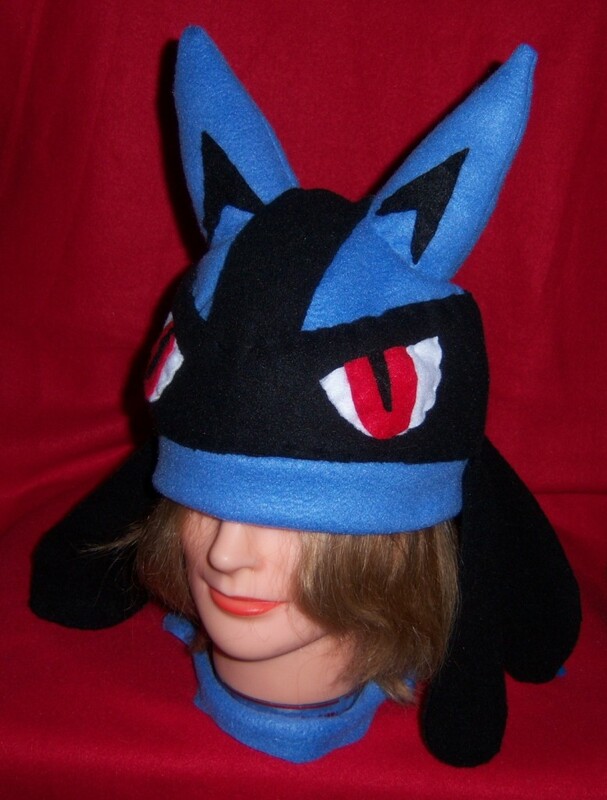 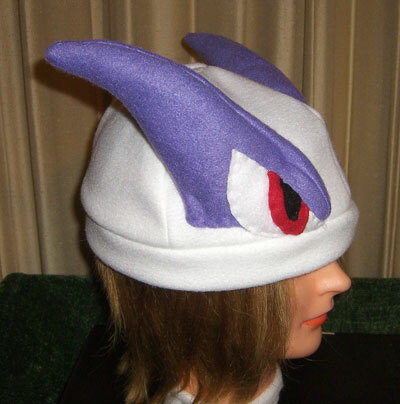 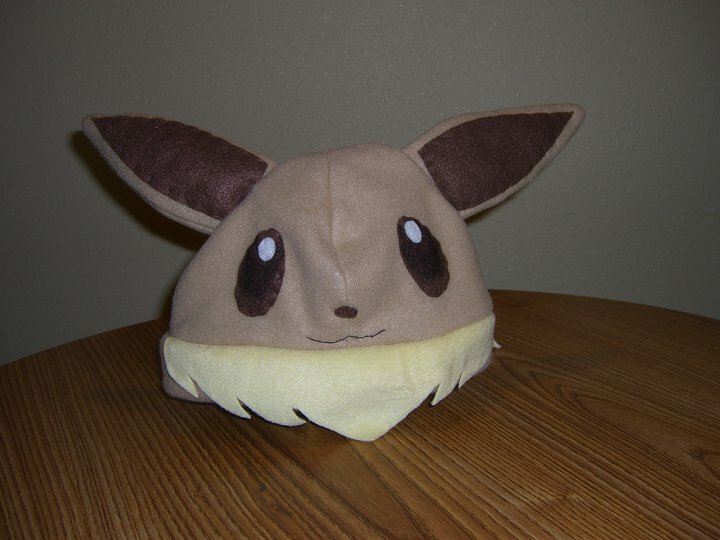 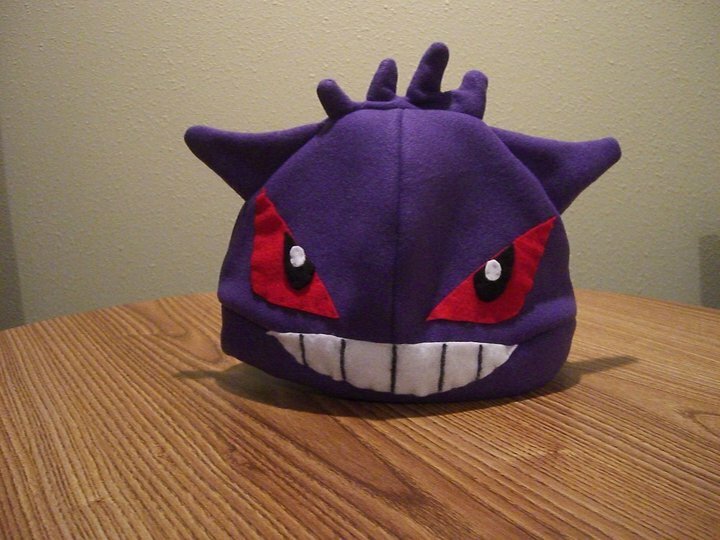 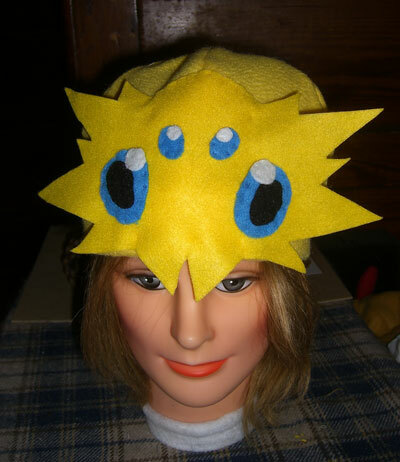 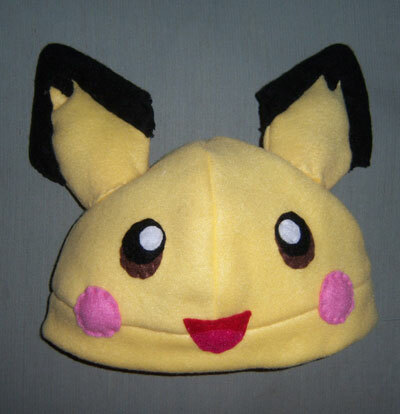 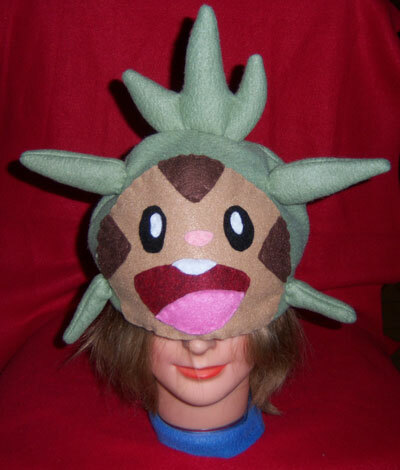 I’ve had a lot of interest in the Pokemon hats that I make and give away as door prizes at a lot of my events. 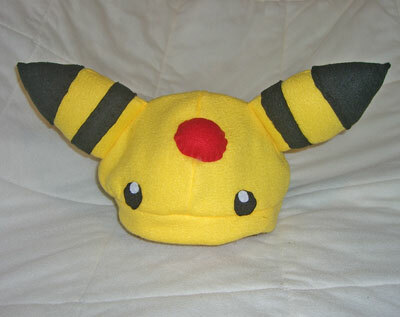 Many people really enjoy them and have asked me if I could please make their favorite for them. 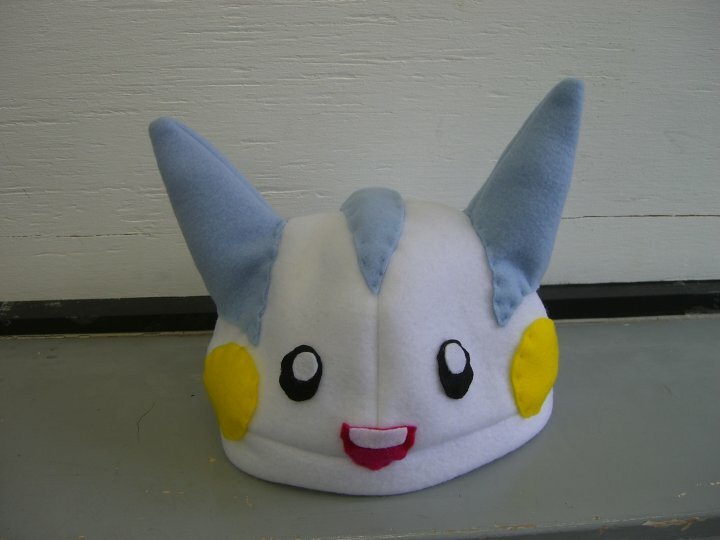 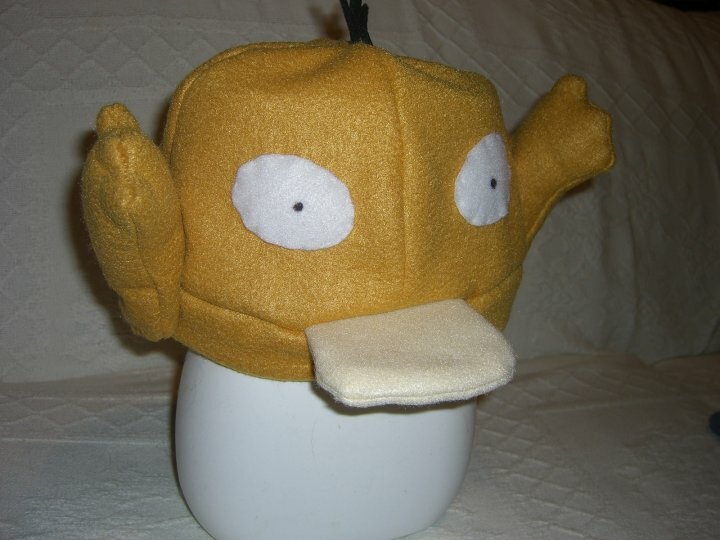 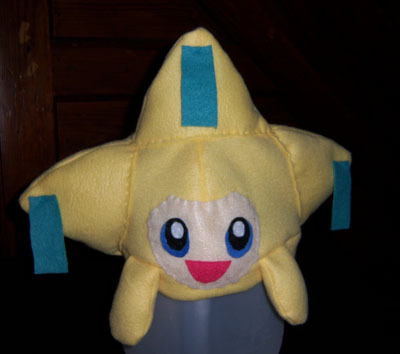 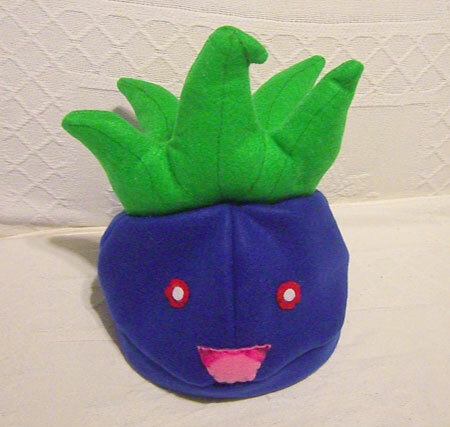 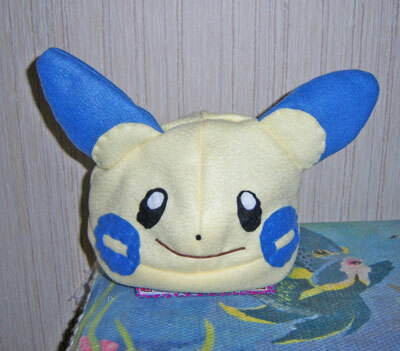 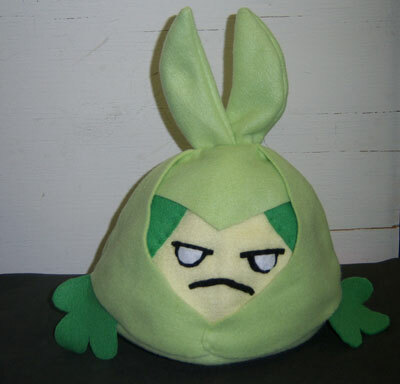 Due to the cost of materials and mostly my time and care in hand making them, clearly I can’t make one for everyone who writes, but you can certainly attend any of my Pokemon events and get a chance to win one! 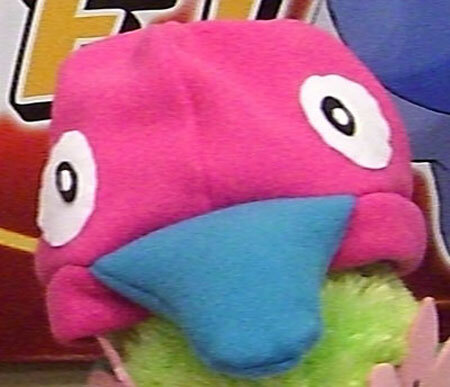 I’m so happy that those of you who have them really like them so much! 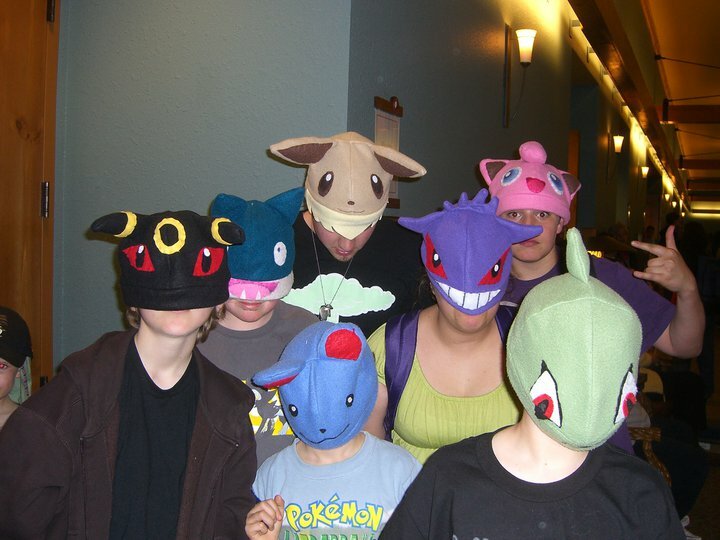 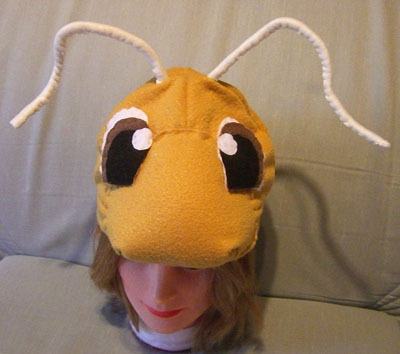 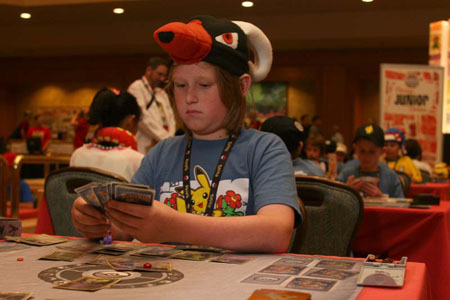 I’ve got to say it’s delightful to see so many people wearing them to the various Pokemon events! . 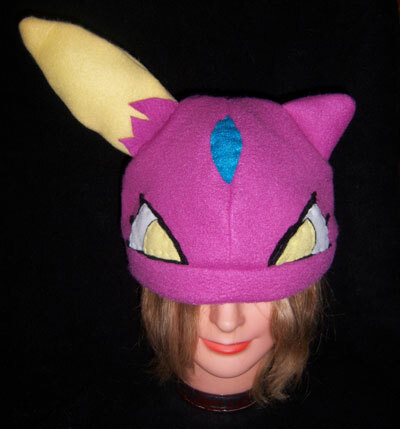 Since so many people have asked me about them, I thought I’d put up a page here to show all the different ones I’ve made so far over the past few years. 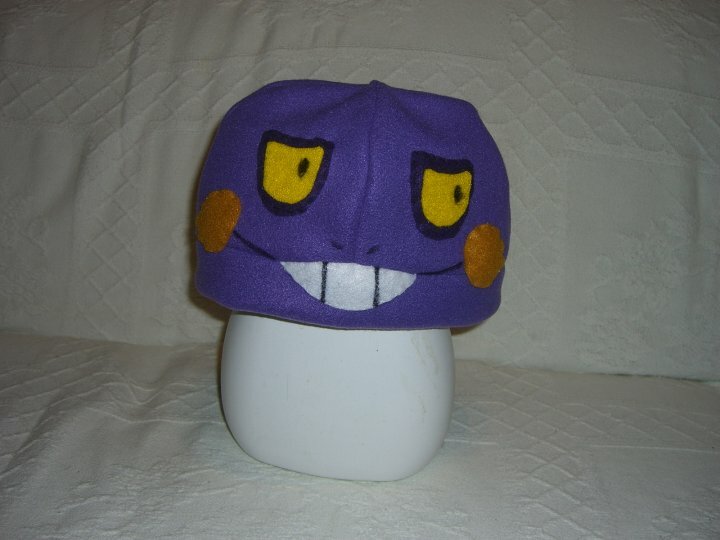 I’m pretty much up for attempting any of them and take suggestions for ones to give away at my events, but no they are not for sale, just so we’re clear. 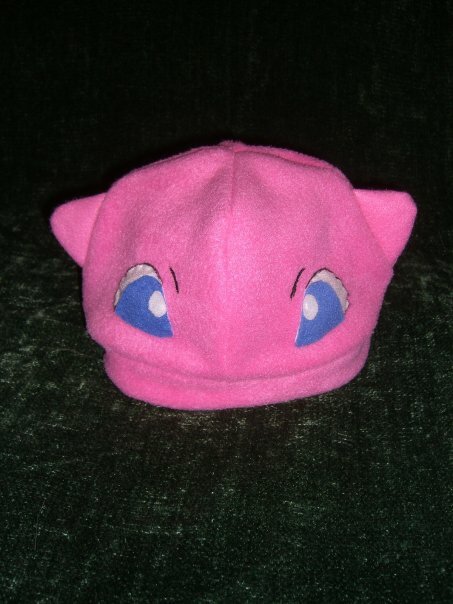 And since I know not everyone can get to my events, as I have time I’ll also try to give one away to someone who writes me about them, so feel free to contact me if you want a chance to win one. 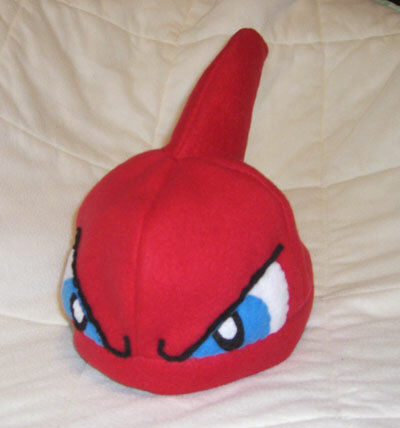 And of course I’ll always give some away at my events, so try and come to one! 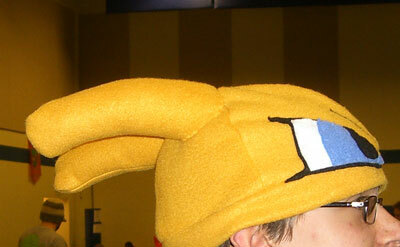 (check my website for my event info!) 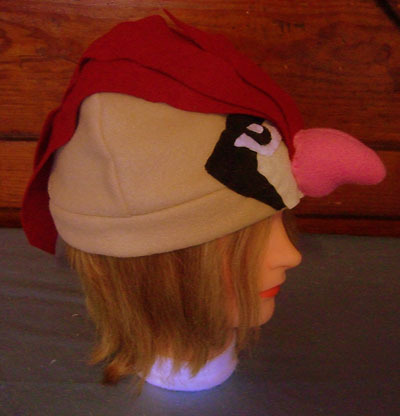 And I’m also working on a ‘how to’ section, in case you want to try and make your own, but that’s proving to take longer than I thought, so I’ll let you know when! 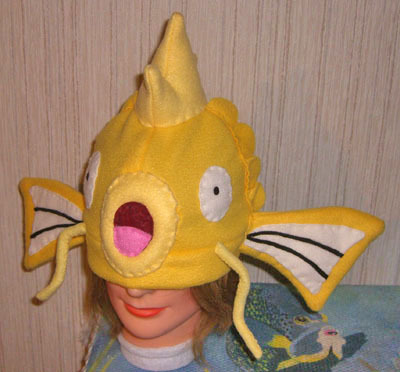 I decided to make number 100 something special, so I made a Shiny Magicarp! 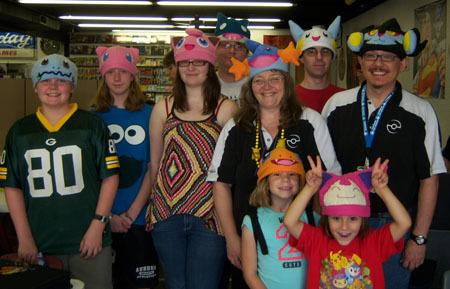 The hats are in alphabetical order. 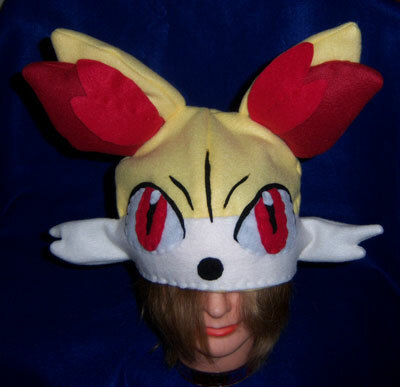 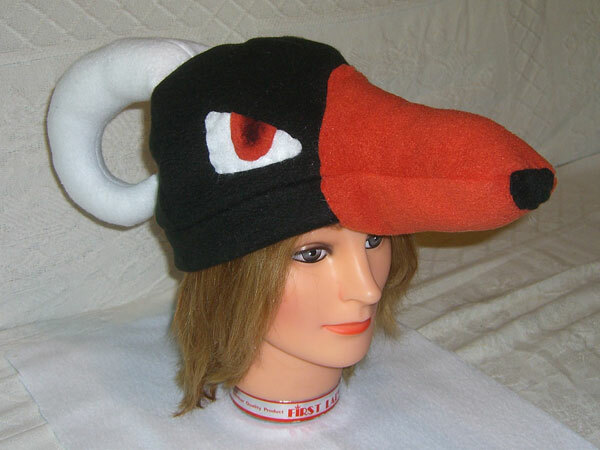 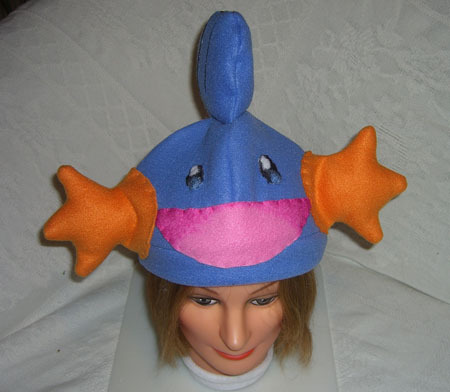 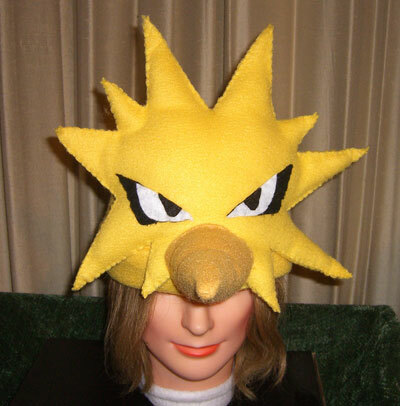 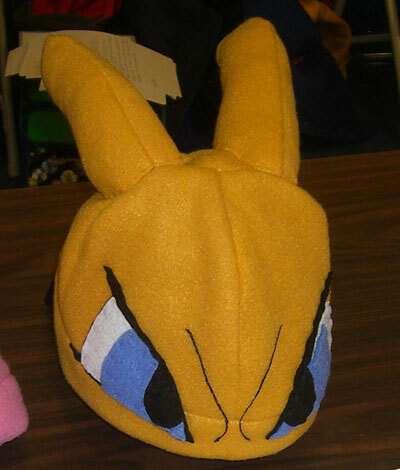 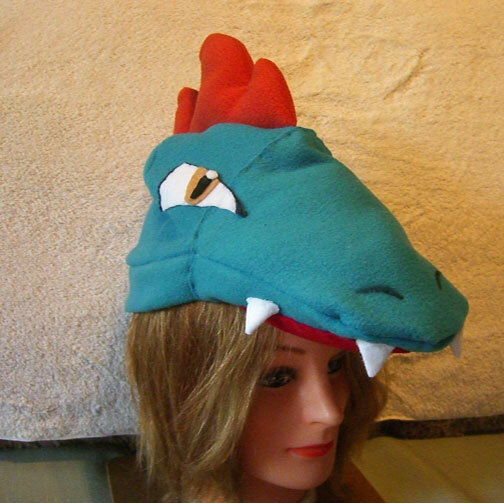 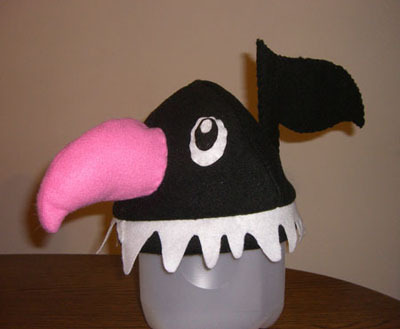 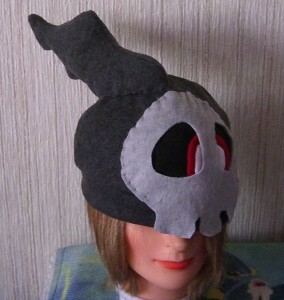 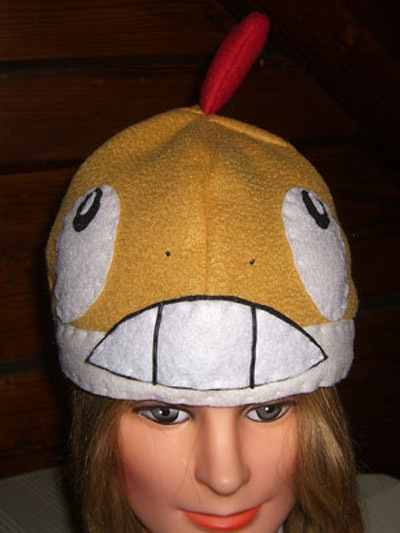 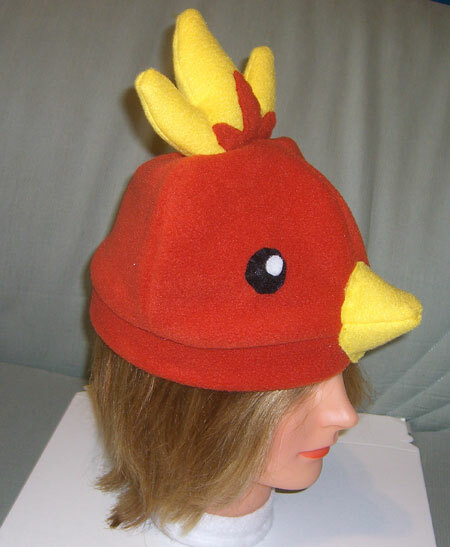 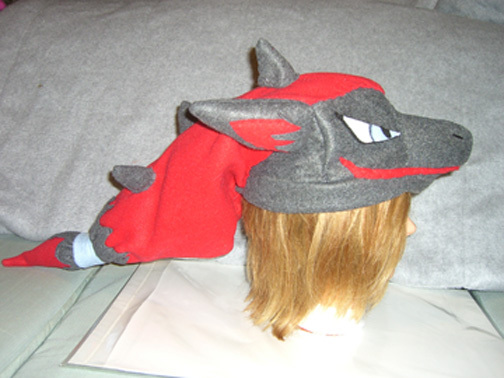 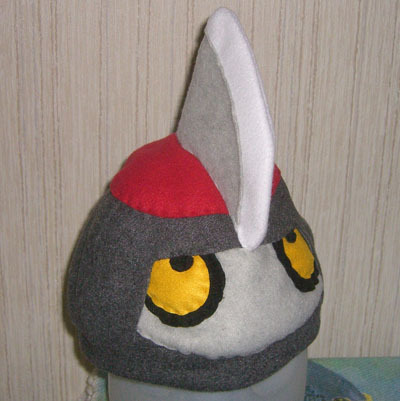 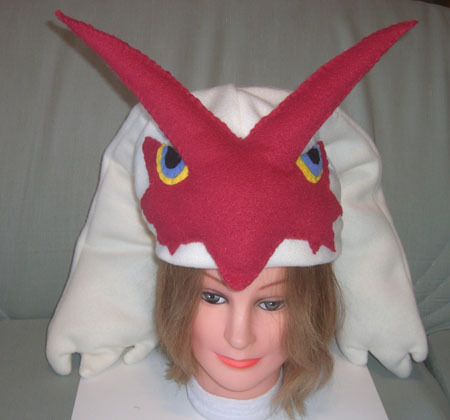 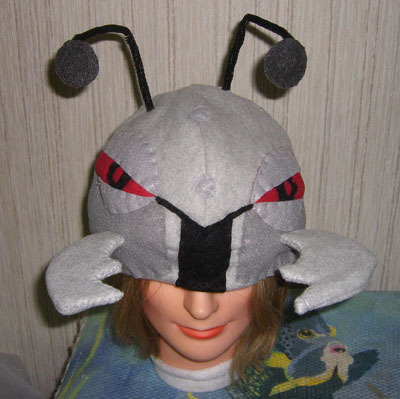 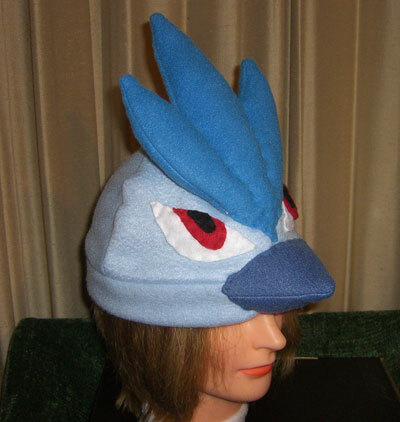 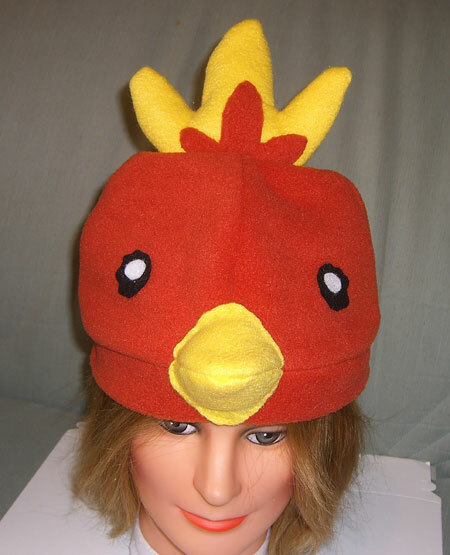 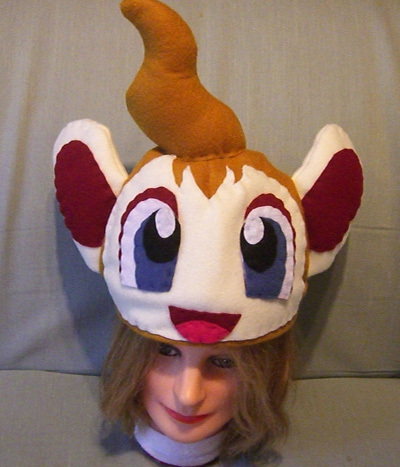 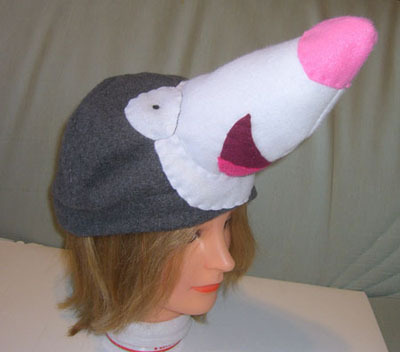 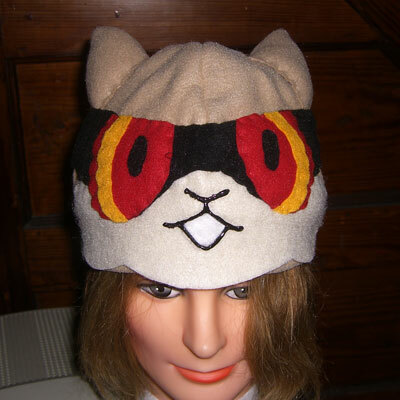 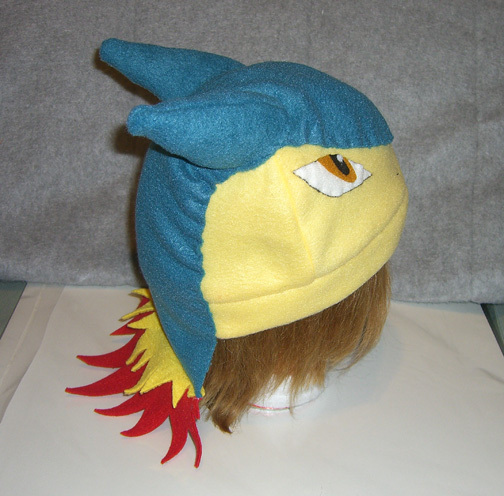 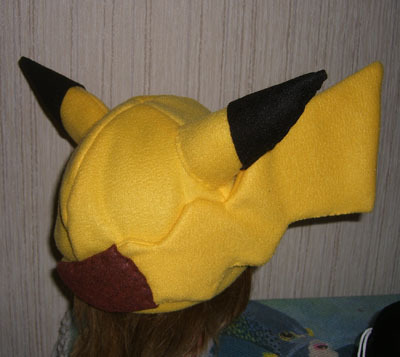 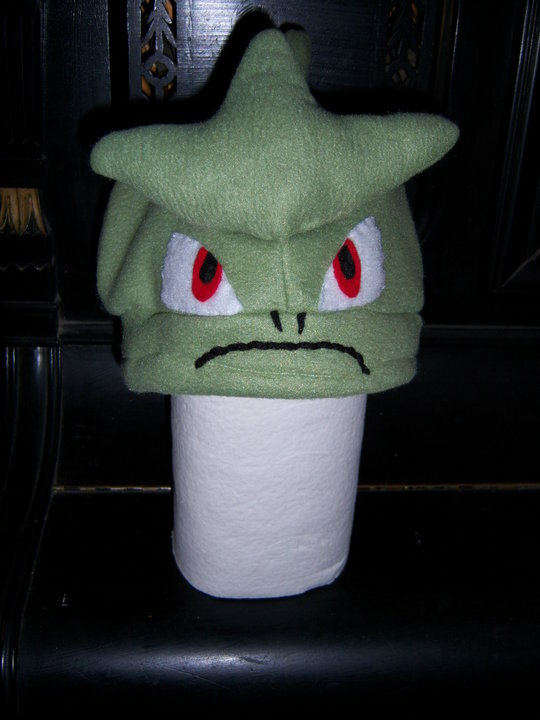 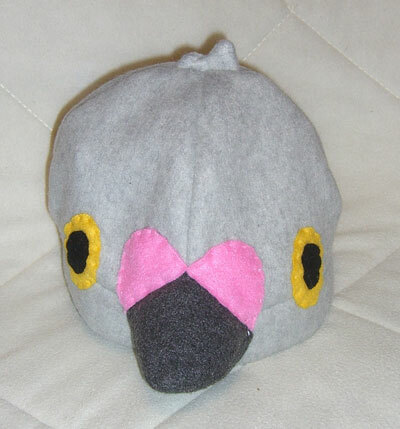 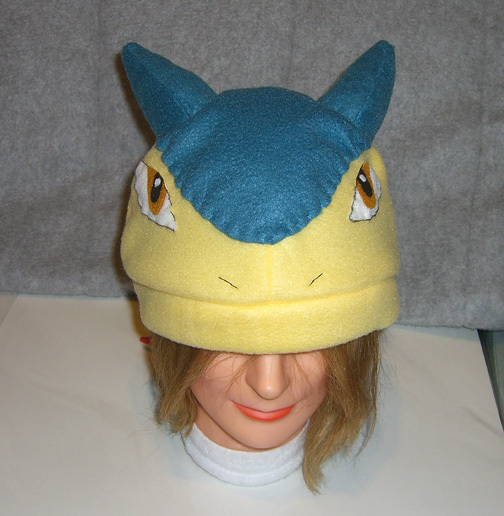 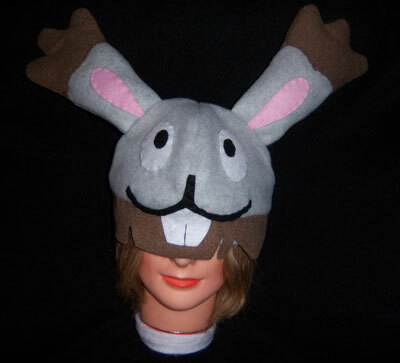 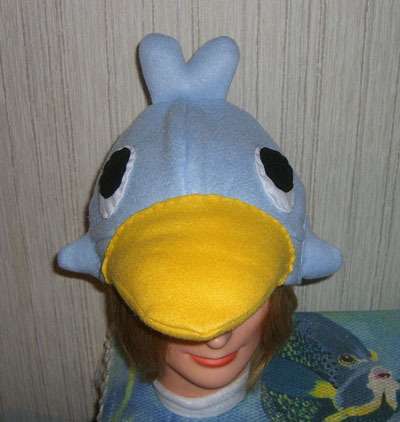 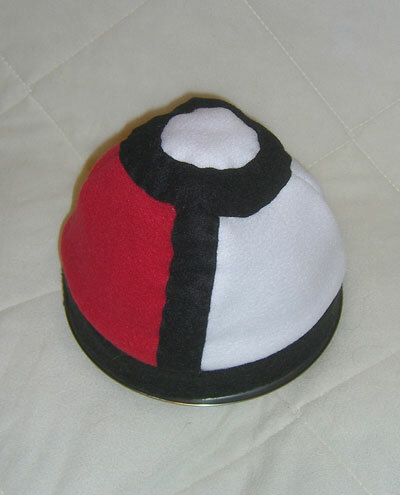 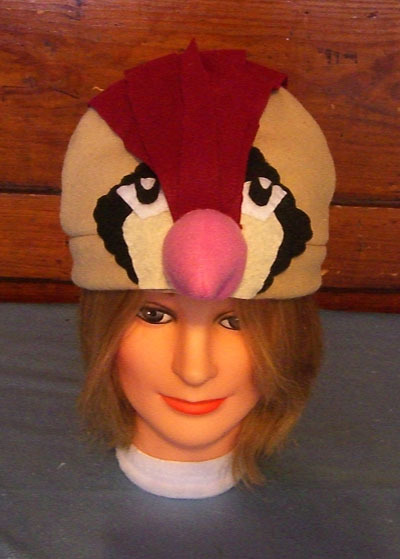 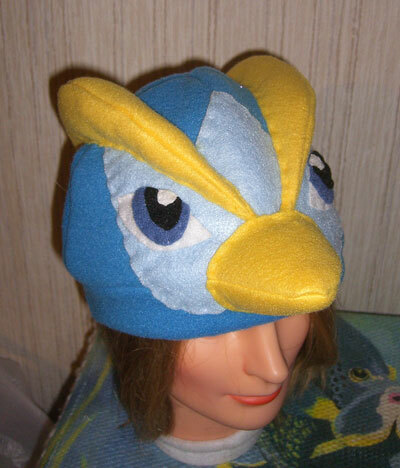 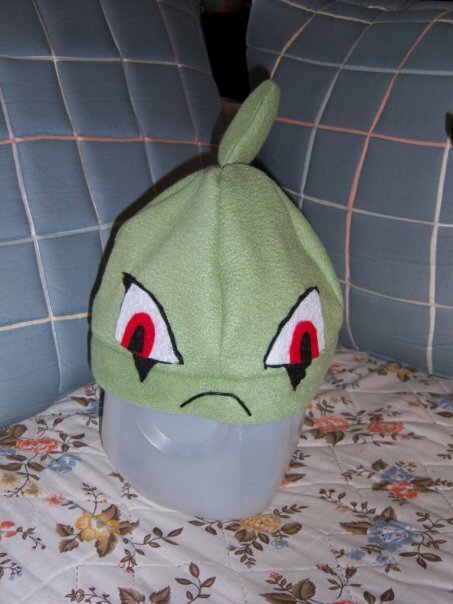 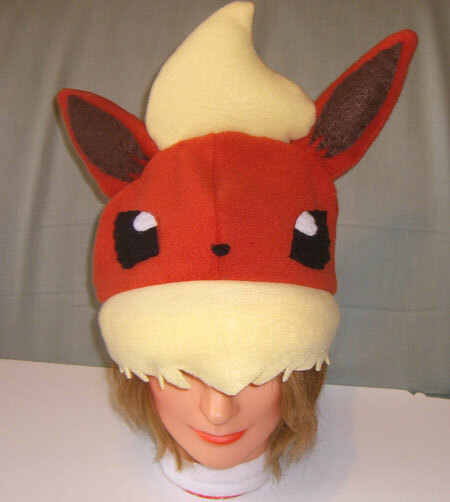 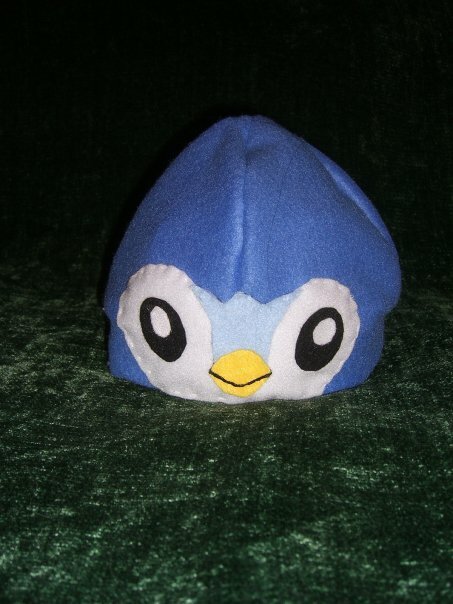 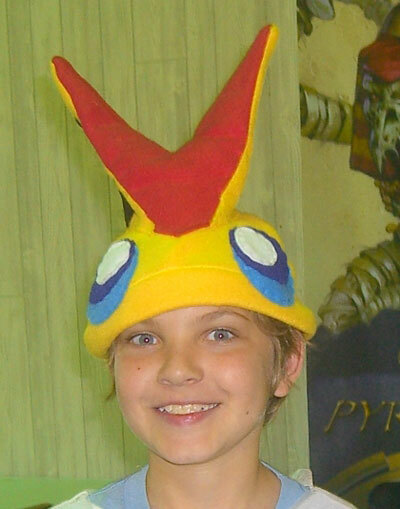 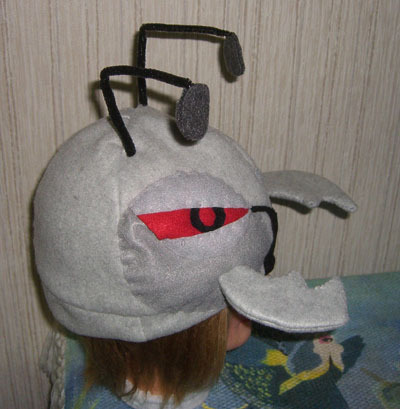 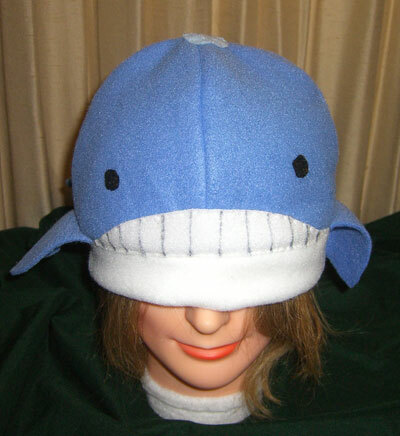 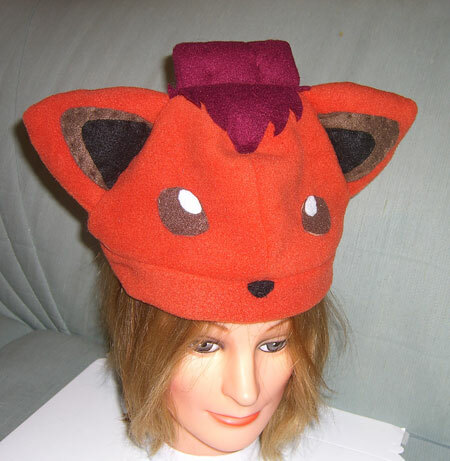 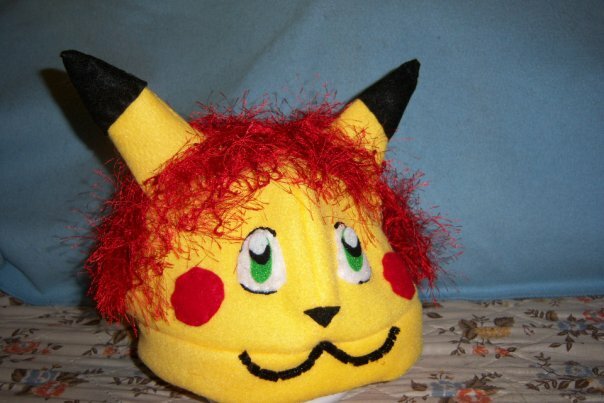 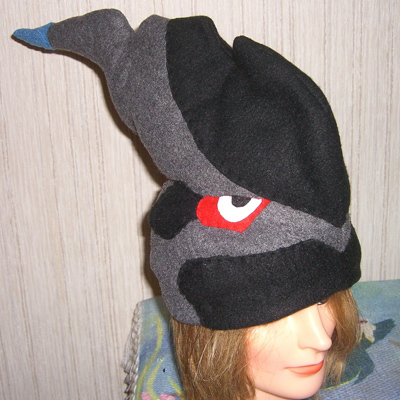 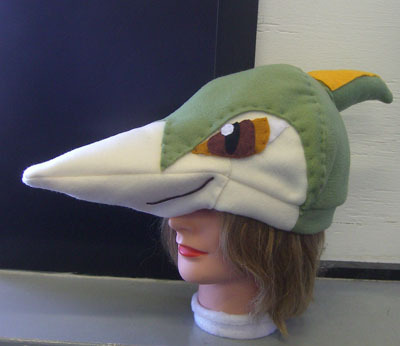 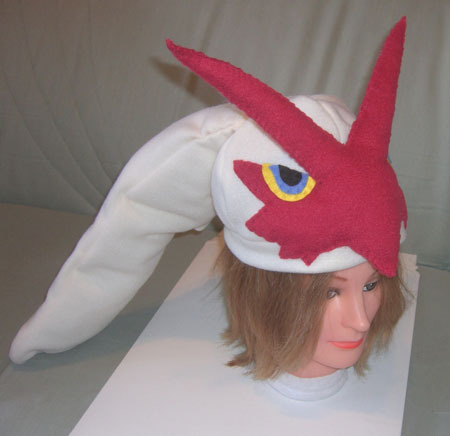 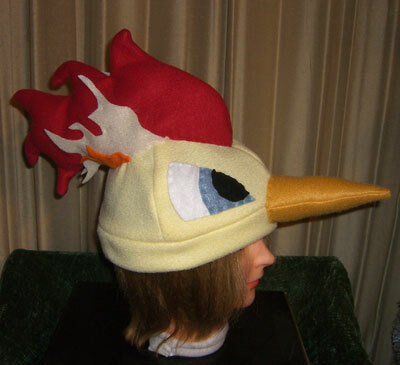 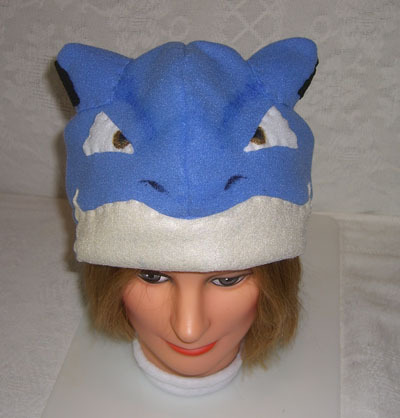 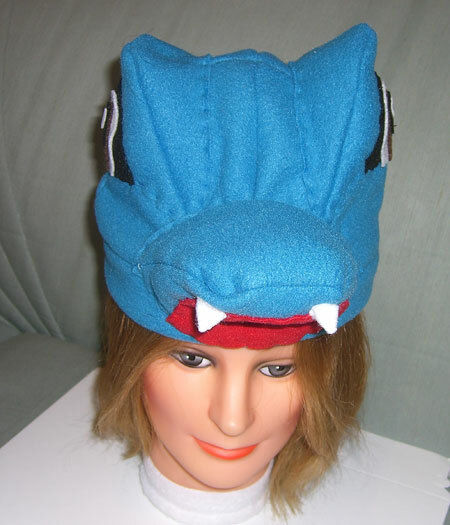 Blaziken hat – front view. 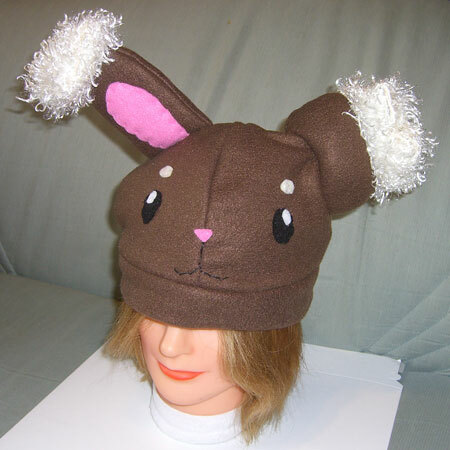 This one was quite a challenge to do! 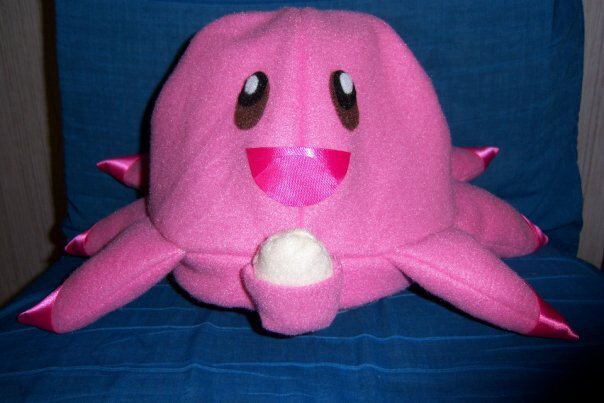 I think I’ll keep it exclusive for Devin’s Chansey collection. 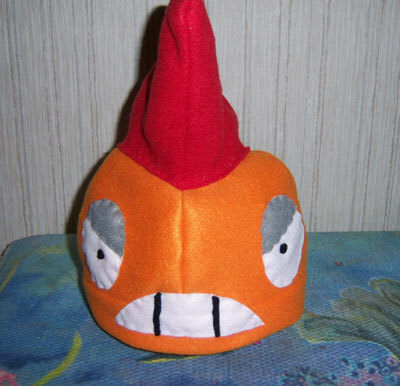 But wanted to show you! 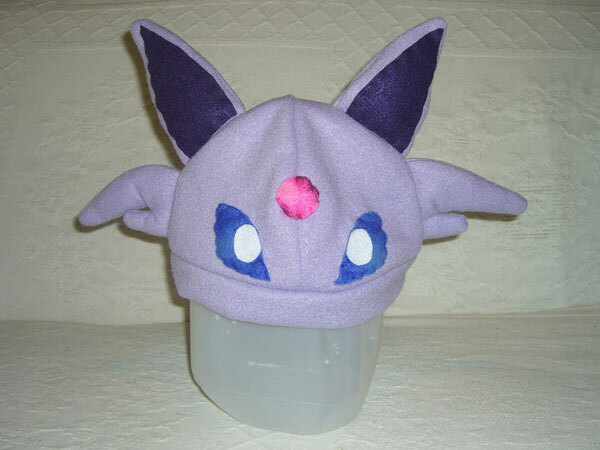 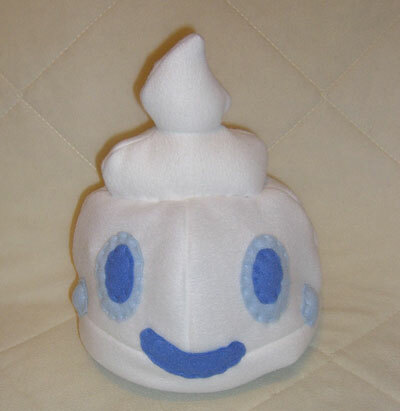 How cute is this Clefable?! 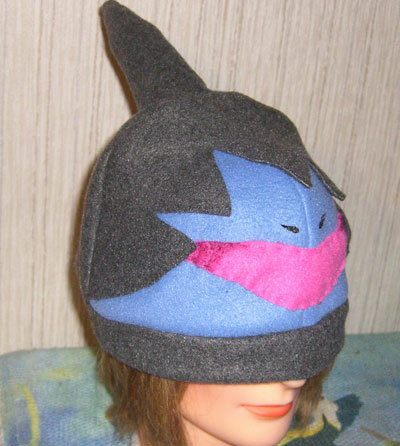 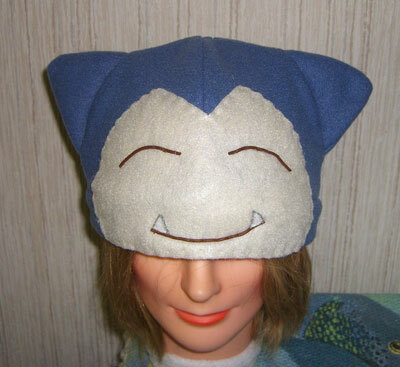 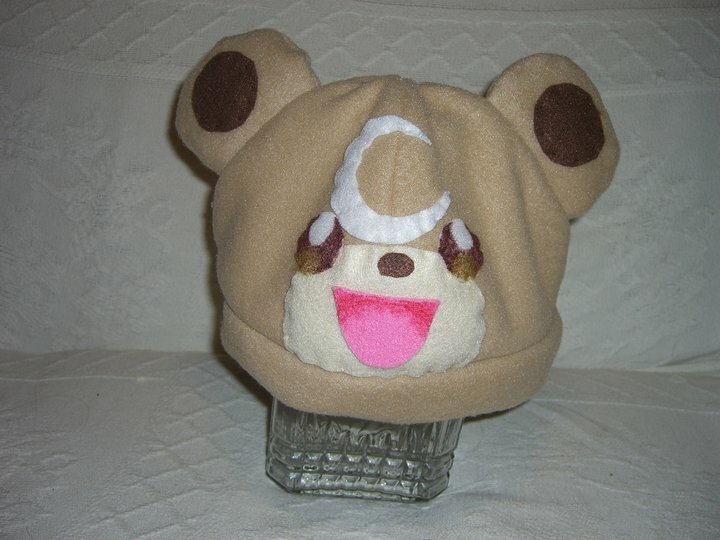 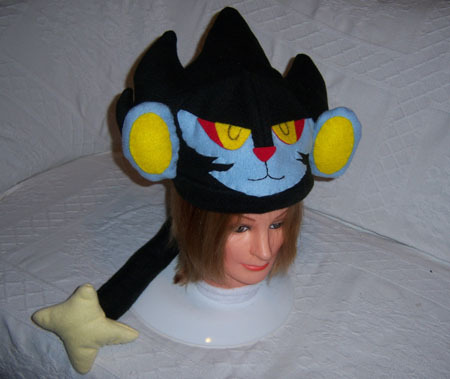 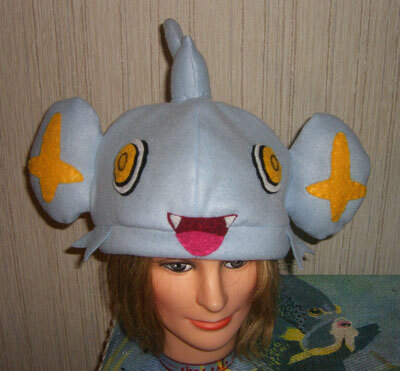 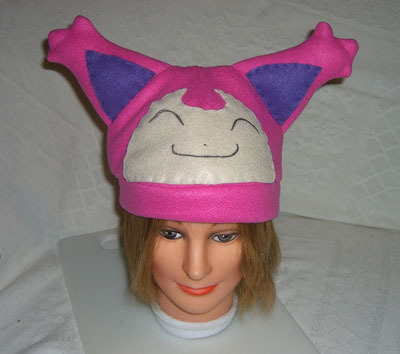 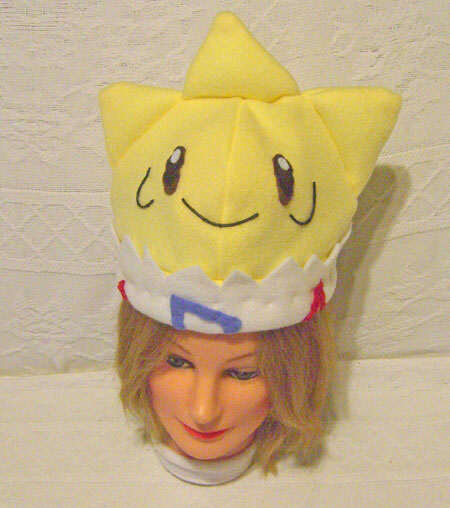 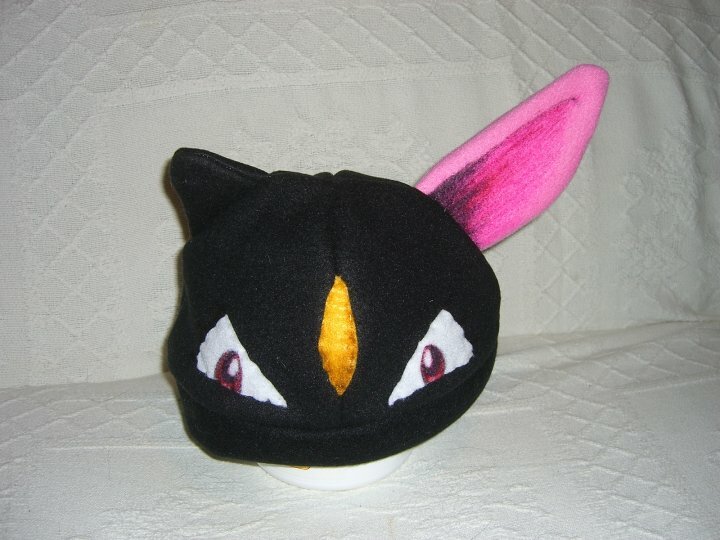 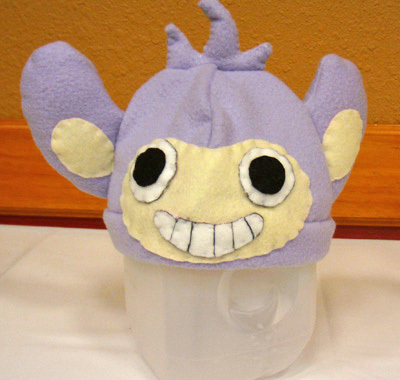 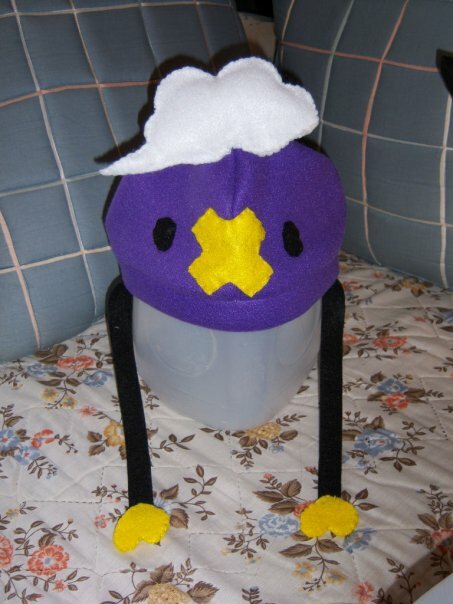 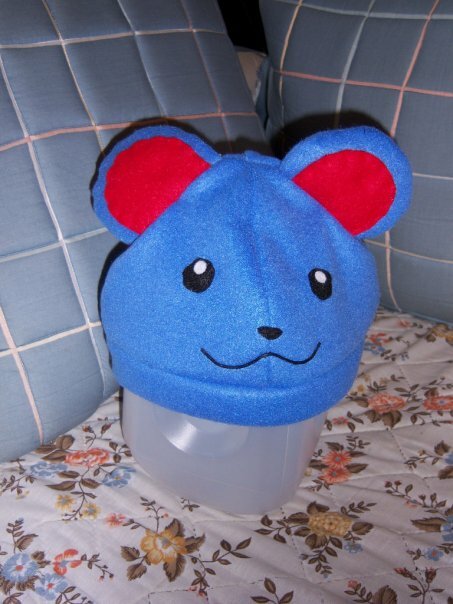 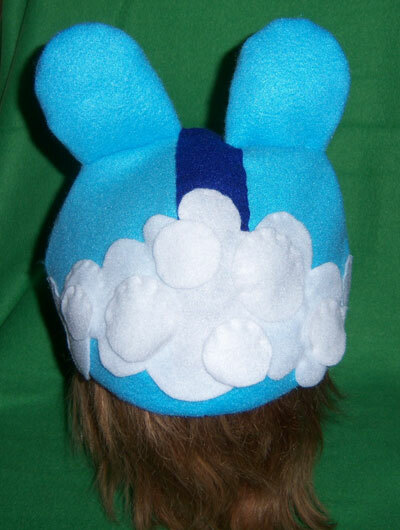 A very deluxe Luxray hat! 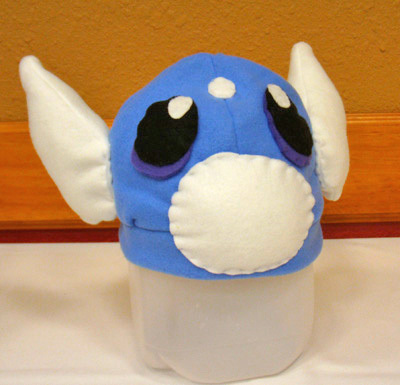 This Manaphy I made turned out great! 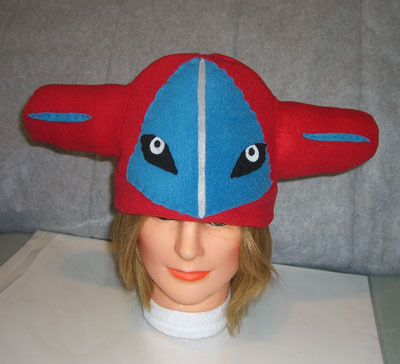 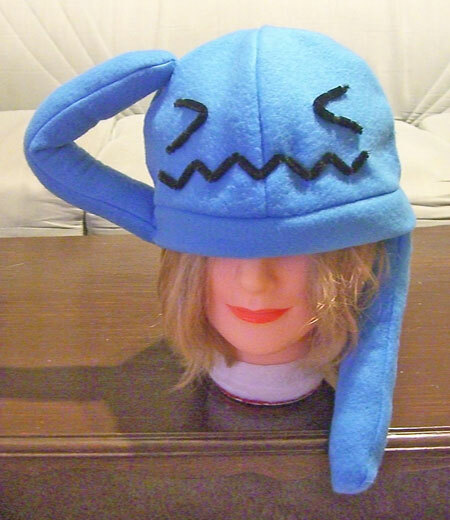 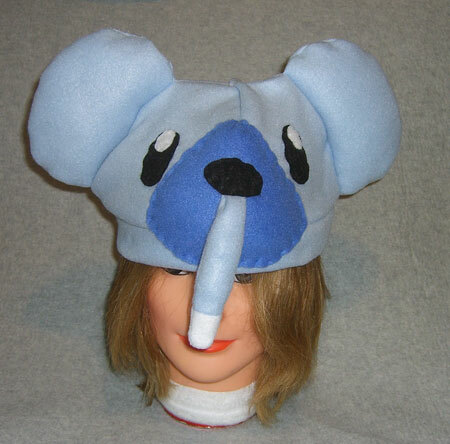 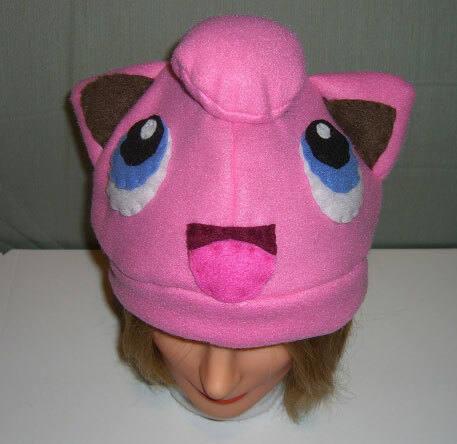 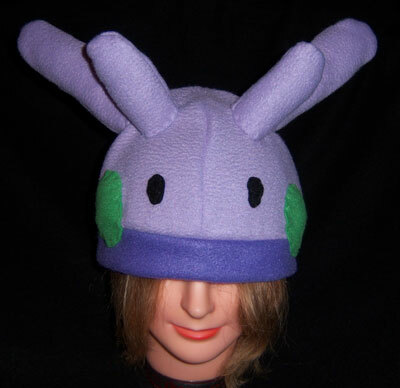 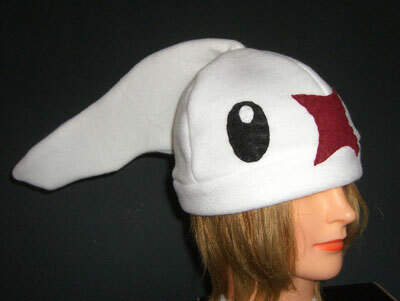 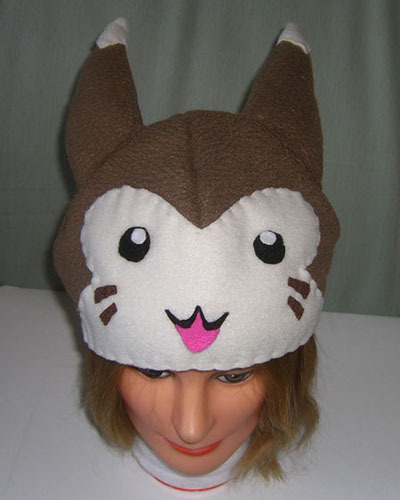 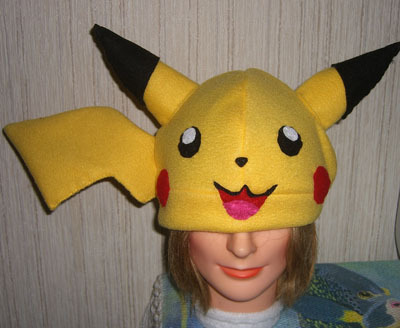 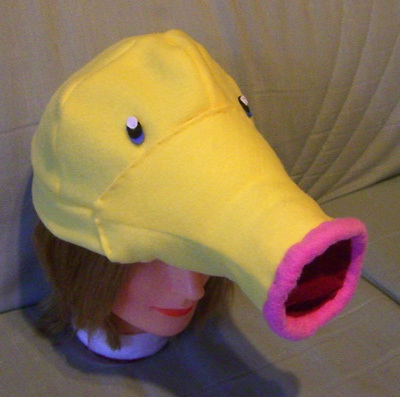 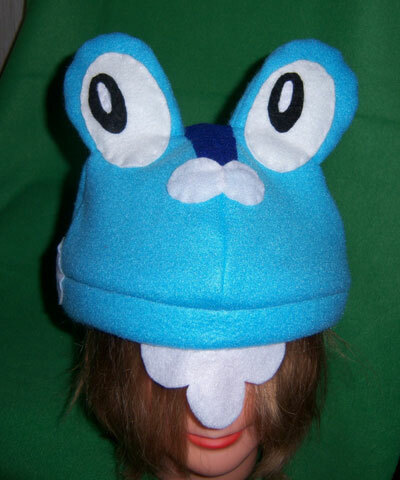 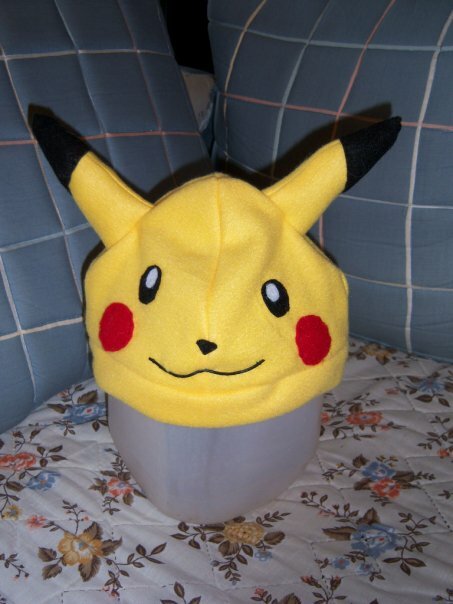 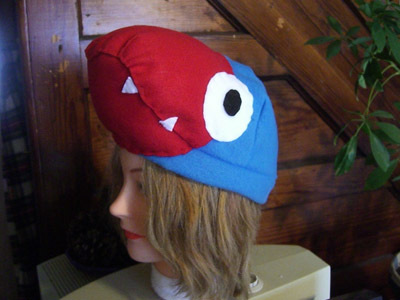 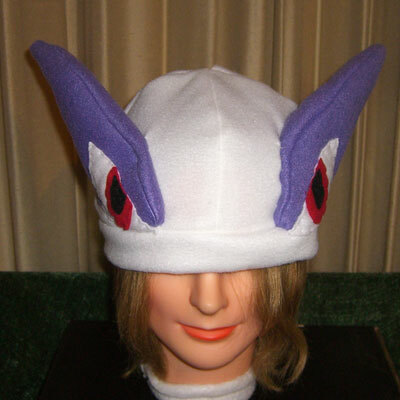 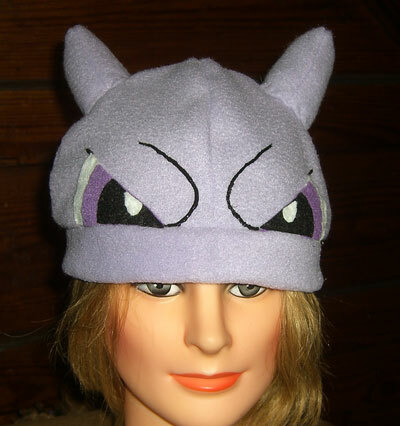 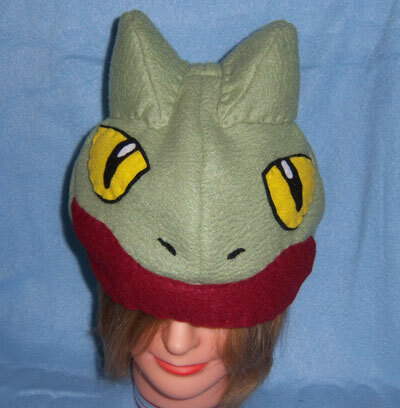 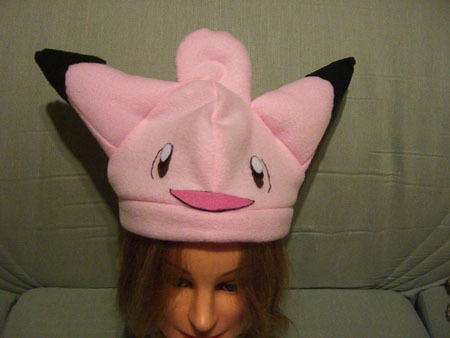 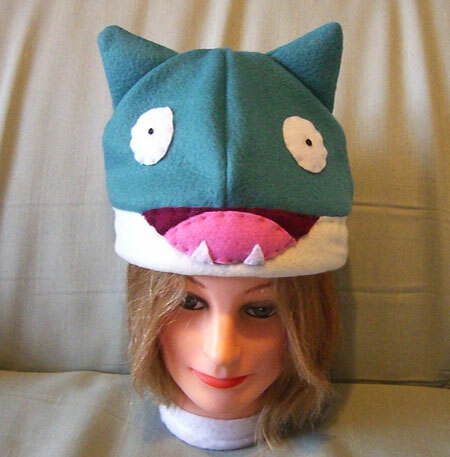 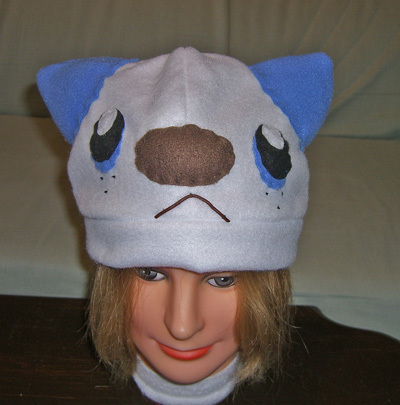 Hope you’ve enjoyed seeing my Pokemon hats! 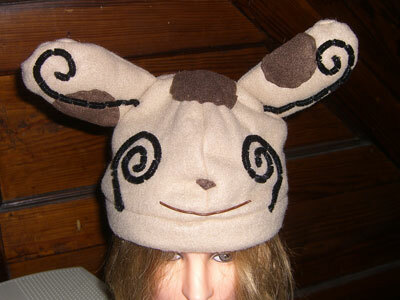 And for those of you who have written, thanks for the compliments, I really appreciate them! 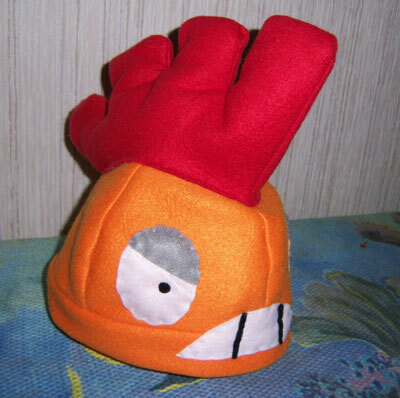 Making them is a lot work, but a labor of love!